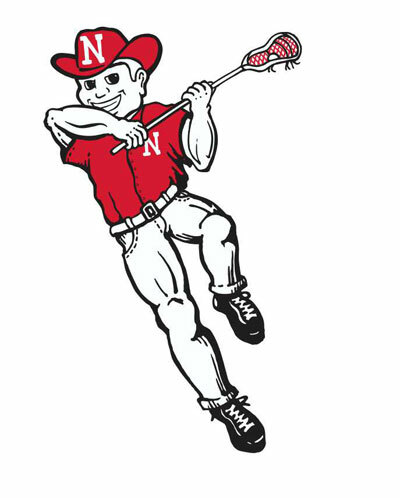 In 2006, the University of Nebraska lacrosse team only had one victory and during the last nine years the program has a 51-73 overall record. After the 2014 season ended with an 8-8 record but going 1-3 in conference play, the player-led executive board and the team were faced with a decision -- continue down the same path or make a change. Starting with the coaching staff, the executive board hired Rob Mazanec as the latest head coach of the team. "Nebraska lacrosse decided to hire Rob for many different reasons," Nebraska senior and board member Michael Killingsworth said. "One of the primary reasons is Rob's high-level of understanding and respect for the game. He is well-educated on both the offensive and defensive sides of the ball. Additionally, we found Rob to be a coach that preaches discipline, something that our team really needed. Rob also has many different connections within the lacrosse community in Nebraska, which allows him to bring in skill position coaches. Many of the players on the team had played for Rob before and found that experience rewarding both as a player and a person. "Rob also had a vision for the club that met our goals. With Rob, there is no doubt in my mind that our team can go to the next level and even beyond." Mazanec most recently comes from Nebraska Prime Lacrosse -- Nebraska's premier select lacrosse team -- where he serves as a Director of Coaching. Additionally, Mazanec has held coaching positions at several schools including Creighton Preparatory School and Westside High School in Omaha, Neb. “The goal is to get Nebraska lacrosse back on the right track,” Mazanec said. “This program will no longer be complacent and satisfied with anything less than successful results. It’s a mentality shared by the players. “Nebraska is a rising program,” senior defenseman Santo Marasco said. “Very few people outside of the current lacrosse community have ever heard of the sport in Nebraska and we are looking to change that. Aside from changes in place for the 2015 season, there is also a focus on the future. Setting the stage for a long-term program change, the executive board also approved the purchase of a new and customized website powered by the well-known Sport Ngin content management system. "We created this website in order to take our club to the next level and recruit players whom would be a good fit for our team values," Killingsworth said. "This website will take us to another level on the field and help us reach a professional appearance." The program is planning on using the website in several ways focusing on increased communication and building for the future. “The new website will allow us to connect with everyone interested in the program,” Marasco said. “From recruits, to fans, players, to parents of players of the team, to opponents -- everyone will be fully updated on the University of Nebraska Lacrosse Club. For Killingsworth, the changes are about the continued growth of the program. "We have been building our team over the last three years for long term success," Killingsworth said. "We have maintained an equal balance of players each grade and hope to continue this growth. We have gone from just 15 players three years ago to over 35 this year. We hope to grow to over 50 players. We have become more competitive each year and hope to make the playoffs for the first time in our team's history. With the talent we currently have, if we execute, we will reach the playoffs. To continue our success we need to bring in freshman that want to compete and are dedicated to the success of the team." Nebraska starts the 2015 season with a home game at the Cook Pavilion against the University of South Dakota on Friday, Feb. 20 at 8 p.m.